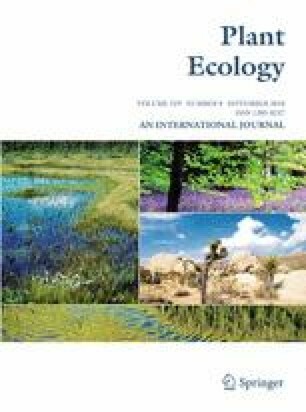 Do seeds from invasive bromes experience less granivory than seeds from native congeners in the Great Basin Desert? In part, the enemy release hypothesis of plant invasion posits that generalist herbivores in the non-native ranges of invasive plants will prefer native plants to exotic invaders. However, the extent to which this occurs in natural communities is unclear. Here, I examined the foraging preferences of an important guild of generalist herbivores—granivorous rodents—with respect to seeds from a suite of native and invasive Bromus (“brome”) species at five study sites distributed across ≈ 80,000 km2 of the Great Basin Desert, USA. By examining only congeners, I accounted for a potentially large source of interspecific variation (phylogenetic relatedness). In general, granivorous rodents removed seeds from native bromes at a 23% higher rate than seeds from invasive bromes, suggesting a preference for native species. This preference was not entirely explained by seed size, and patterns of seed removal were consistent across study sites. These findings suggest that invasive bromes in the Great Basin might experience less rodent granivory than native congeners, which is consistent with a key prediction derived from the enemy release hypothesis. The online version of this article ( https://doi.org/10.1007/s11258-018-0858-7) contains supplementary material, which is available to authorized users. I am grateful for funding from task agreement P14AC00728 between the National Park Service and the Ragan M. Callaway Lab at the University of Montana, the Montana Institute on Ecosystems, National Science Foundation Established Program to Stimulate Competitive Research Track-1 EPS-1101342 (INSTEP 3), and the Organismal Biology and Ecology Program at the University of Montana. I especially thank Ray Callaway for his excellent guidance and feedback.